Thousands of teachers in two U.S. states are striking to demand higher pay and increased education funding. More than 30,000 educators in Oklahoma began a walkout Monday and have promised to stay on strike until their demands are met. Oklahoma’s largest teachers union has called for a $10,000 pay raise for educators over the next three years. It is also seeking an increase of $75 million in state education funding. 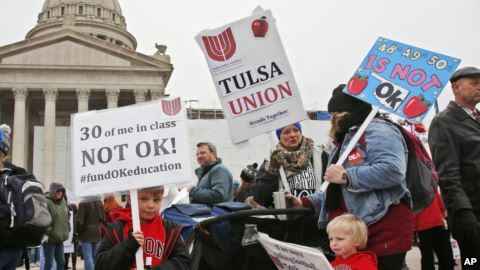 Union officials said the strike led to classes being cancelled for about 500,000 of Oklahoma’s 700,000 public school students. Thousands of striking teachers traveled to the state capital, Oklahoma City, to join a mass demonstration. The president of the Oklahoma Education Association, Alicia Priest, called on all teachers to join the protest to pressure lawmakers to act. Priest says teachers and students have dealt with 11 years of funding cuts that have prevented upgrades of school equipment. Class sizes have also been growing. “We will not continue to be ignored,” Priest said in a message posted on Facebook. “Educators will continue to walk until we get a deal that our students deserve,” she said. Oklahoma came in at 47th place among U.S. states in money spent per student in 2016, the National Education Association estimated. The association also reported the state came in near the bottom in pay, with the average teacher in Oklahoma earning about $45,000 a year. Oklahoma’s legislature is controlled by Republicans and lawmakers had sought to avoid tax increases in recent years. The state’s governor, Mary Fallin, is also a Republican. Fallin signed legislation last week to give teachers a raise of 15-18 percent. But many educators said the amount was not good enough and decided to walk out. Rae Lovelace is a single mother and third-grade teacher in northwest Oklahoma. “If I didn’t have a second job, I’d be on food stamps,” she told the Associated Press. Lovelace is among many teachers who have taken a second job to earn extra money. She says she works an extra 30 to 40 hours a week teaching internet courses for another school. Schools across Kentucky were also empty. Some were closed for spring break vacation, while other schools cancelled classes to allow teachers to join protests in the state capital, Frankfort. Thousands of teachers showed up to demonstrate. Last Friday, hundreds of teachers in Kentucky called in sick to protest last-minute changes to their retirement system. Republican lawmakers in Kentucky passed the pension bill Thursday. The measure continued pension benefits for most state workers, but reduced them for new teachers. Lawmakers said the move was necessary to make up for underfunding of the state’s teacher retirement system. 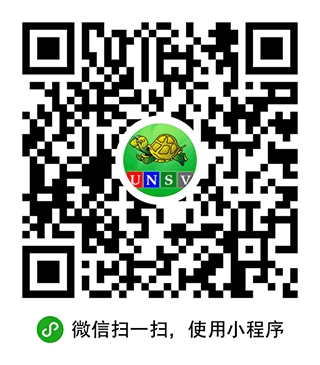 Teacher unions condemned passage of the bill and promised large protests to oppose it. The latest demonstrations followed protests and strikes in West Virginia in February. Teachers statewide walked off their jobs for more than a week. The educators eventually won their demand for a 5 percent increase in pay. In Arizona, teachers held protests last week demanding more education funding. Teachers there are also demanding a 20 percent pay increase and are considering a strike to press their demands. Many Arizona teachers wore red clothes to school on Monday to express support for teachers in Oklahoma and Kentucky. upgrade – n. a situation in which one thing is replaced by something better, newer, more valuable, etc. benefit – n. money paid by a company or government when someone dies, becomes sick, stops working, etc.